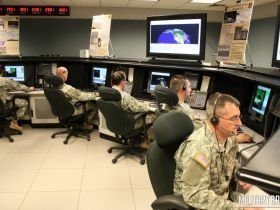 The Joint Interoperability Test Command (JITC) is DOD's Joint Interoperability Certifier and only Non-Service Operational Test Agency for Information Technology (IT) National Security Systems (NSS). 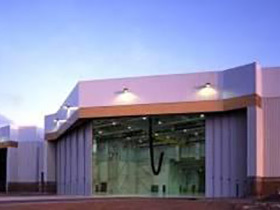 The JITC is a secure facility and the functionality of the chilled water plant is critical for its operations. Not only does it keep occupants comfotable, but it provides cooling for mission critical equipment in the building. The project scope included the installation of a new 1000A service to power a temporary chiller and installation of branch power to the various controls and disconnects for the new systems. The project was completed on time, under budget and with no unplanned outages. 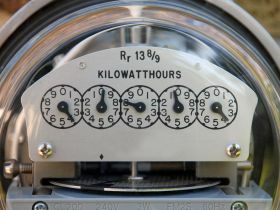 This large design-build project called for the installation of new and replacement of existing electrical usage self-reporting meters on hundreds of buildings throughout the 52,000 acres of Kirtland Air Force Base in New Mexico. Ground-up development for the Arizona Game & Fish Department’s North Phoenix headquarters was awarded LEED Platinum after initially pursuing Silver. 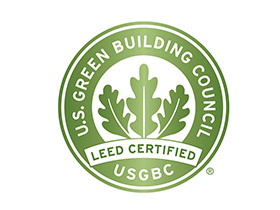 It was the fourth building in the entire state of Arizona to receive LEED Platinum certification. Construction included the 82,000 square foot, single story commercial office building, transportation storage area and maintenance facility, and 27,000 square foot pre-engineered metal warehouse. Wilson Electric provided electrical installation and distribution as well as site lighting throughout the 117,115 square foot complex. NETSIAN Technologies Group provided all communications infrastructure. The project includes 101,000 SF aircraft maintenance hangar and shop facilities. The area consists of two maintenance hangars for Air National Guard KC-135 tanker aircraft. The Arizona Air National Guard neighbors the busy Phoenix Sky Harbor Airport flight line. Some amenities include vehicle maintenance, vehicle fueling, engine shop, avionics shop, NDI area, and AFFF fire protection system.